Coach has a real knack for finding himself gorgeous Italian steed’s which actually fit his tall stature. We’re lucky due to the fact that usually we get to dirty our hands in putting them together. This is the most recent build we’ve helped him with. 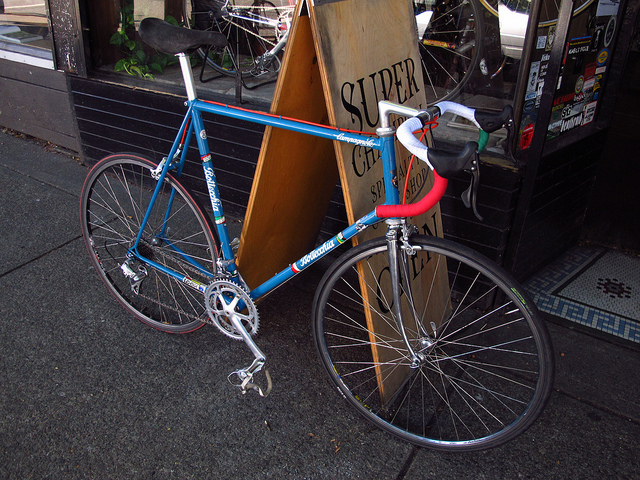 Giant frame, mix of Campagnolo parts and a fabulous Italian tape job. That white tape is not so anymore.